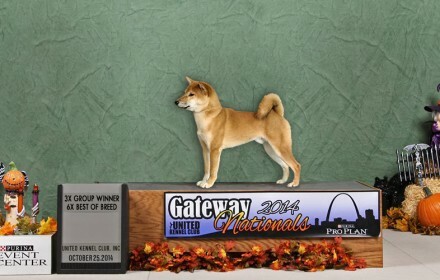 We are so proud of our little pack. 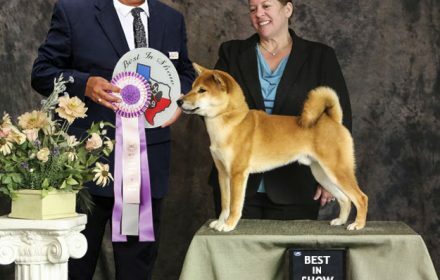 They train hard, but love to compete! 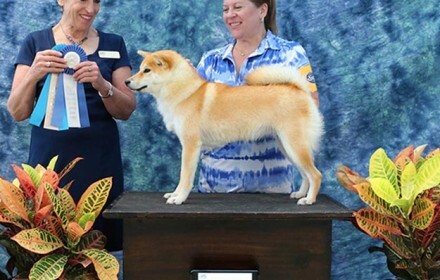 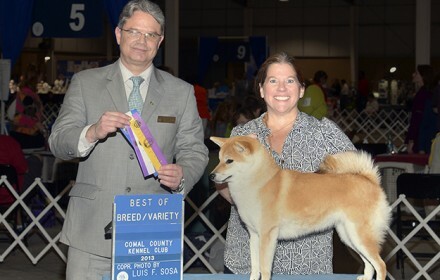 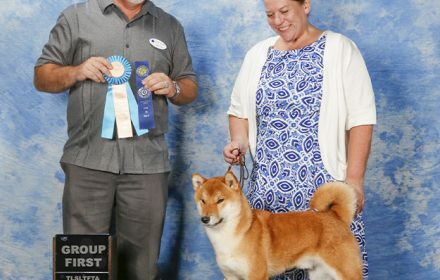 It really shows with their multiple best in show wins! 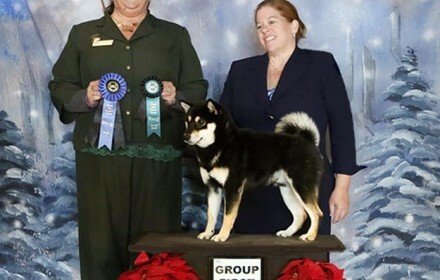 CLICK ON THE PHOTOS to get a better picture. 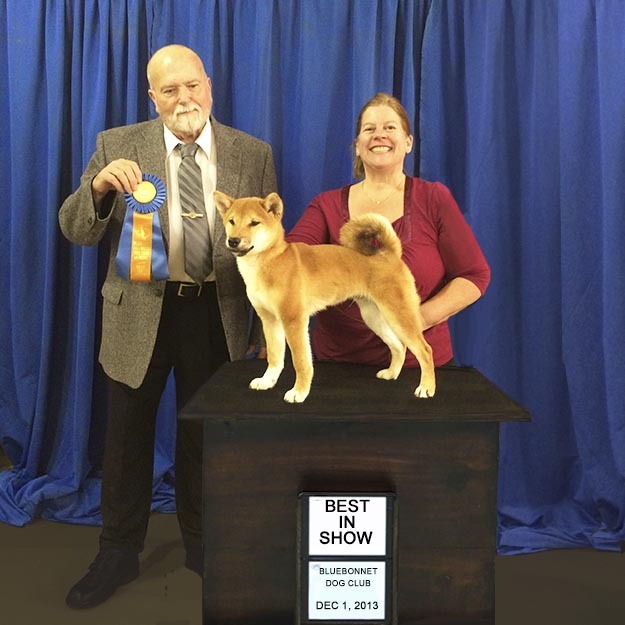 Click here to see a list of the shows attended and the winnings received. 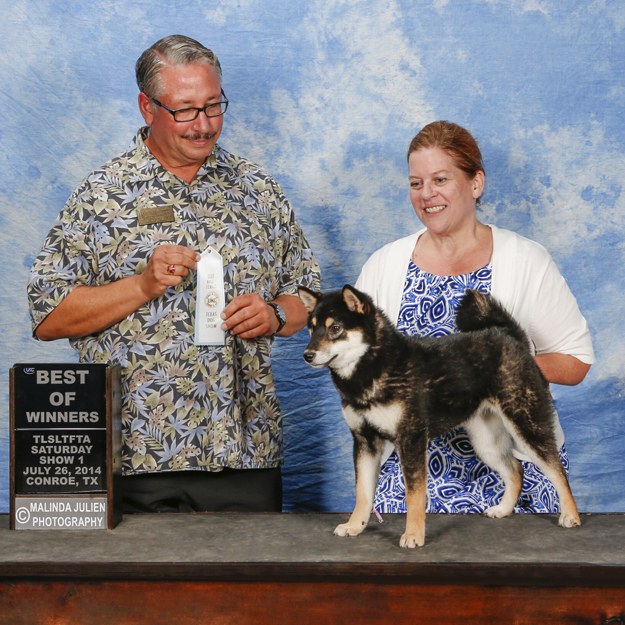 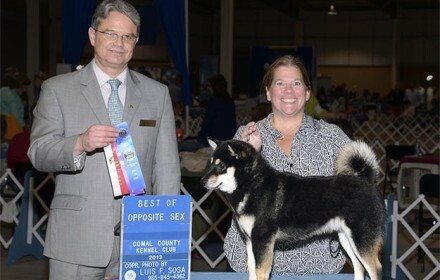 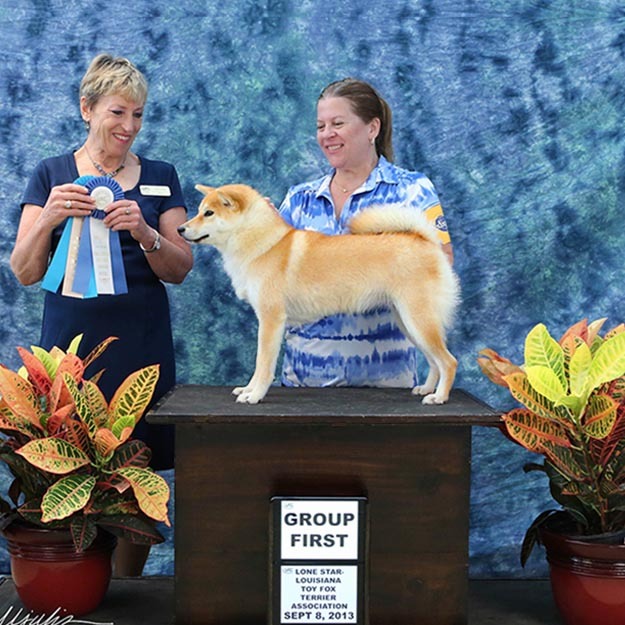 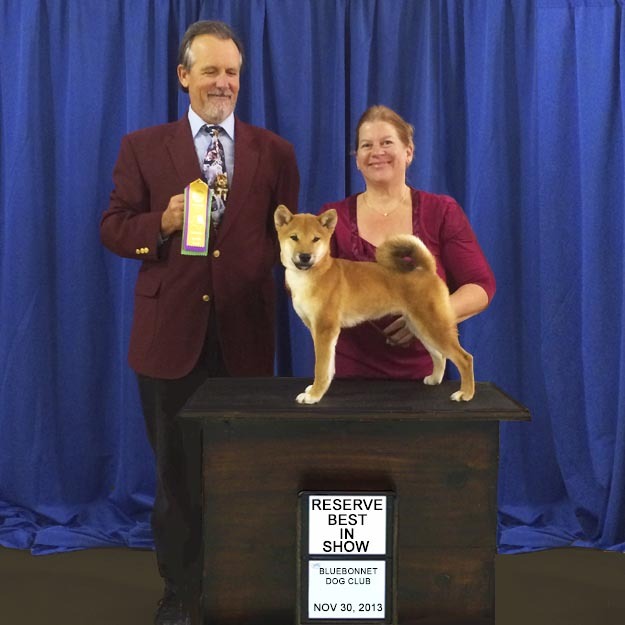 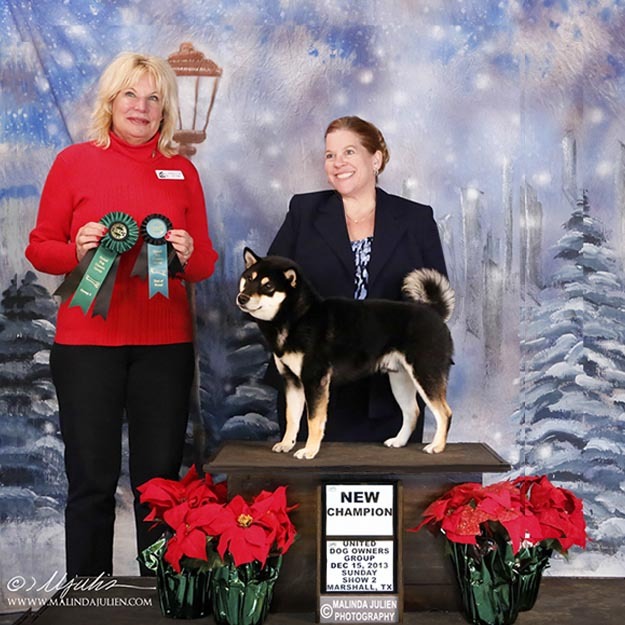 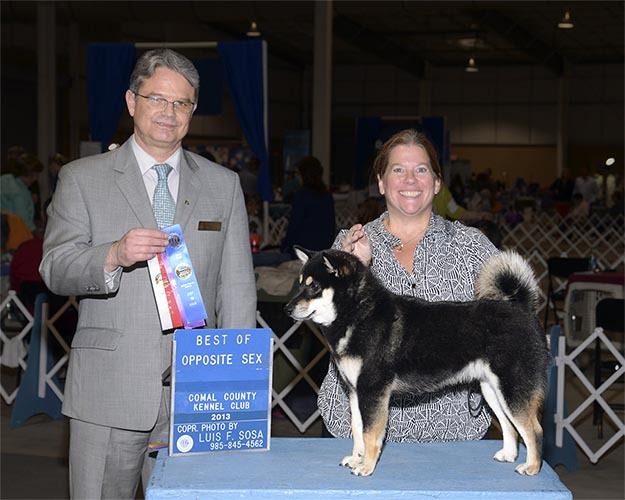 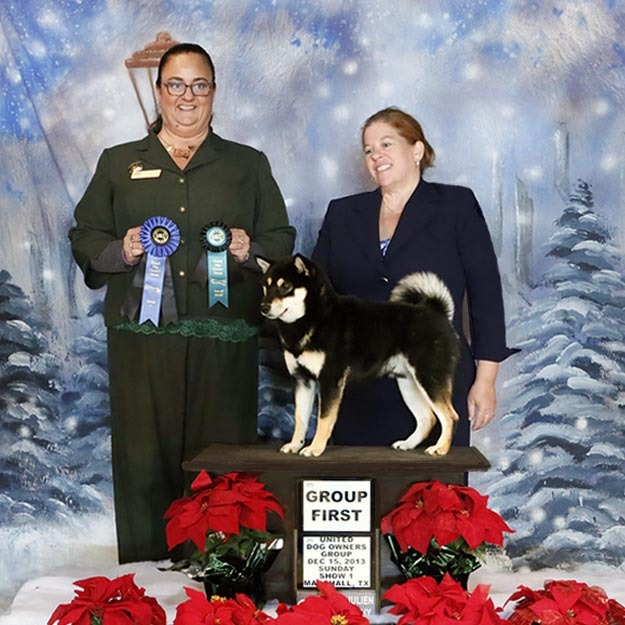 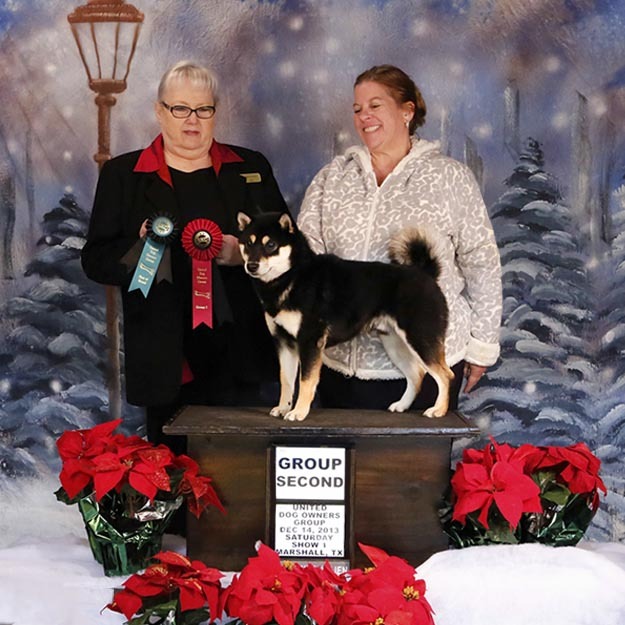 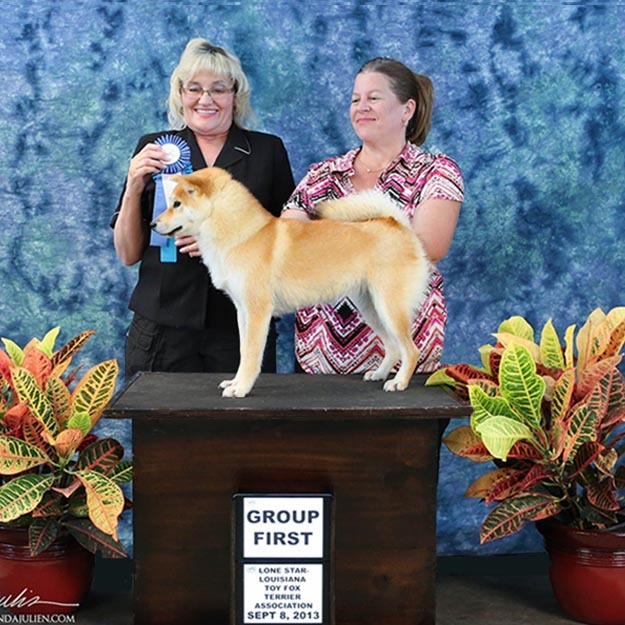 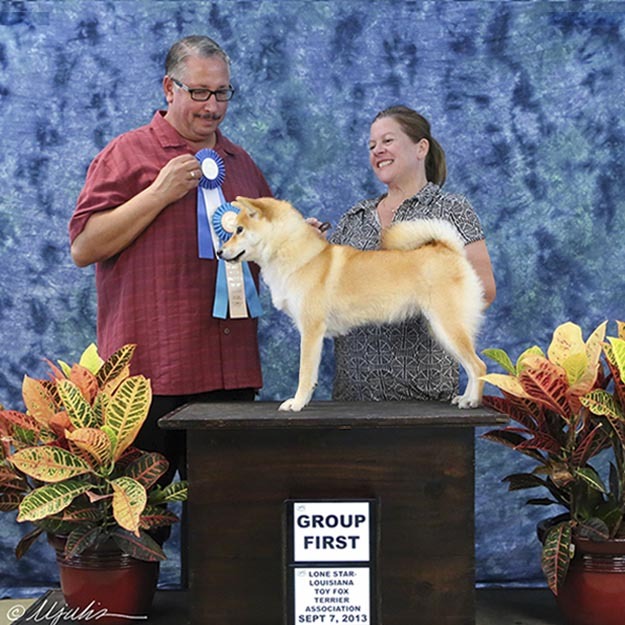 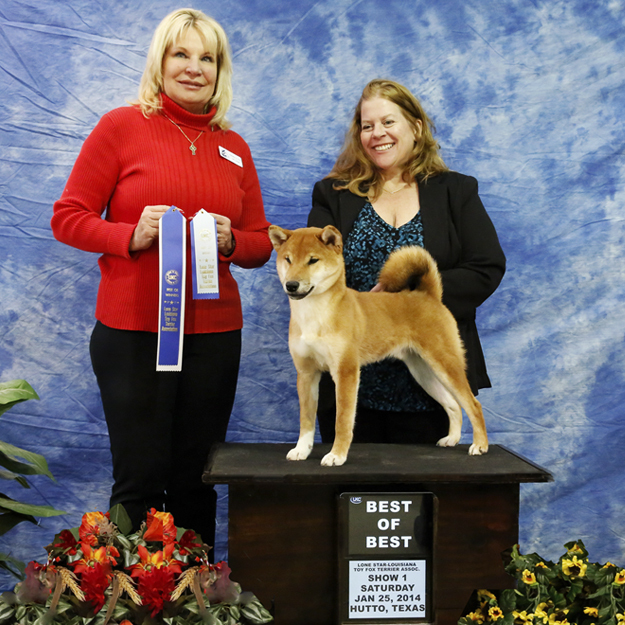 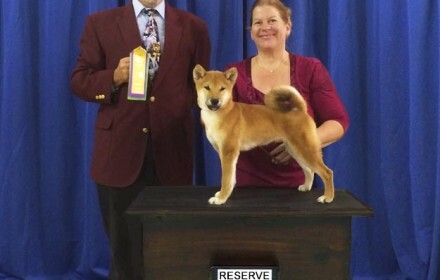 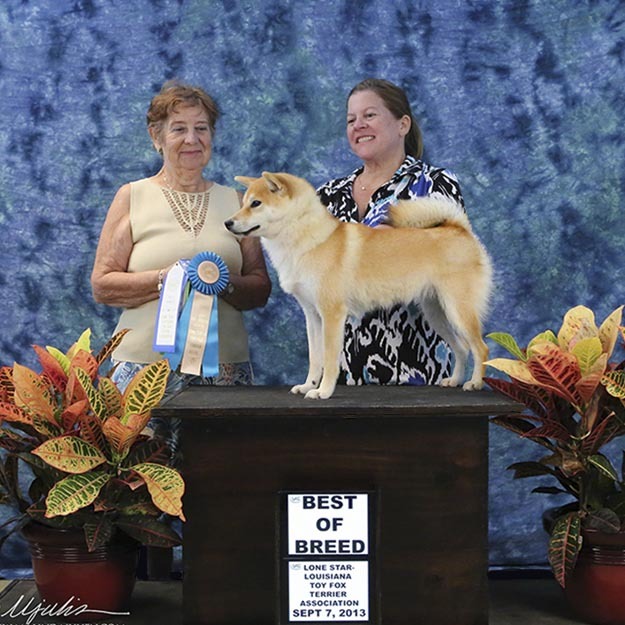 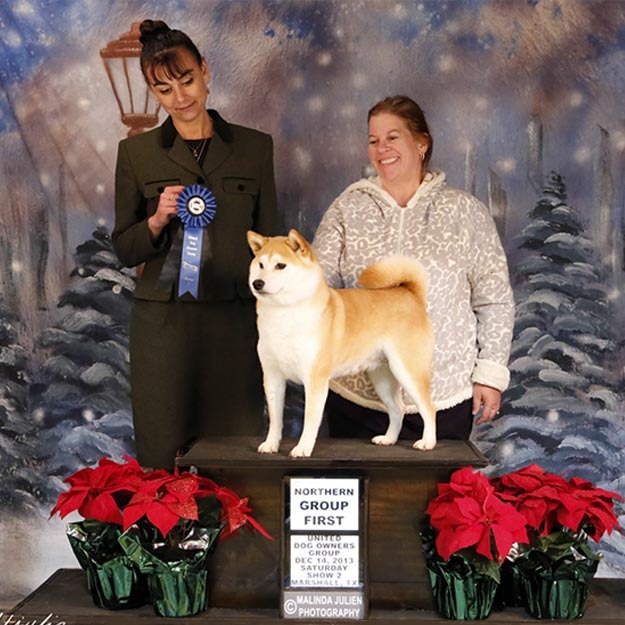 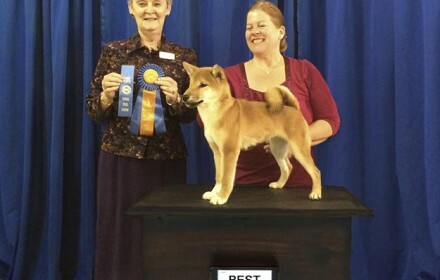 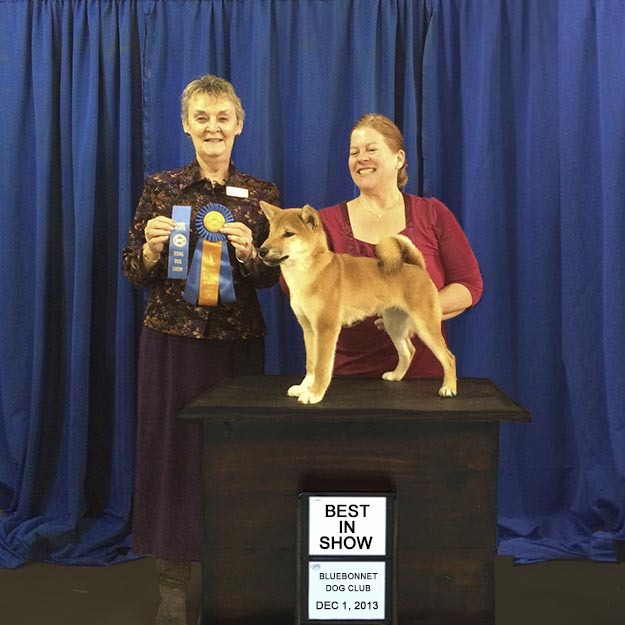 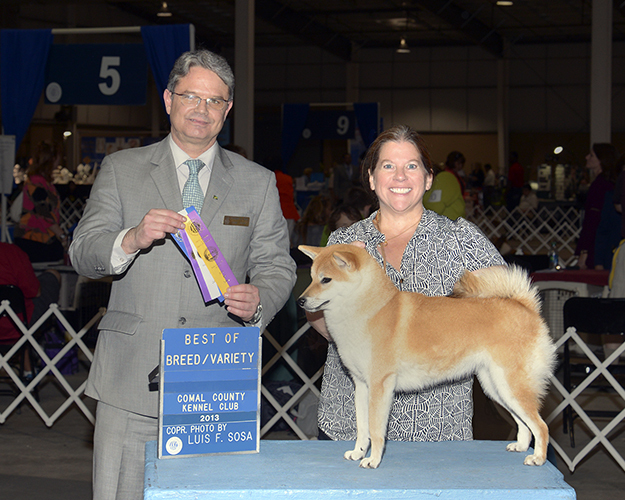 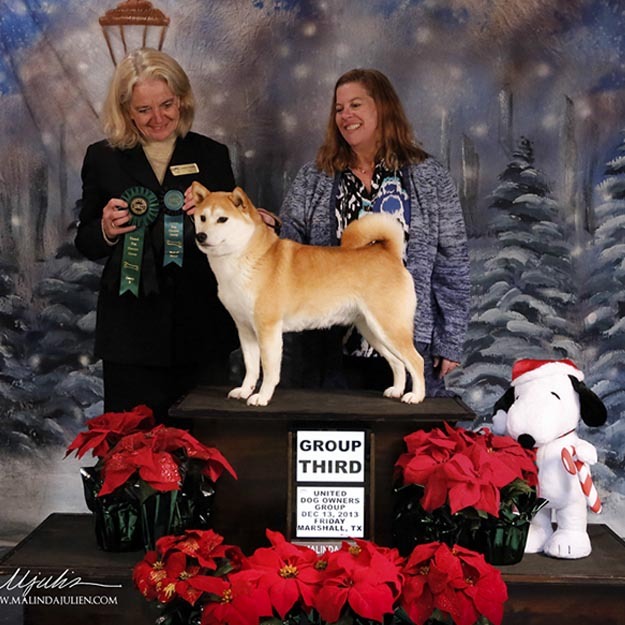 Best of Breed, Group 4 by Judge Larry Hansen Jr.
With this win, Beni earned her Championship! 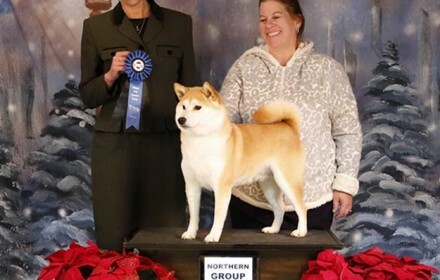 So proud of this little girl to get to compete for Best in Show at only 11 months old! 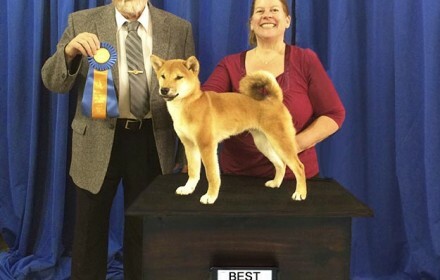 This was only her second show. 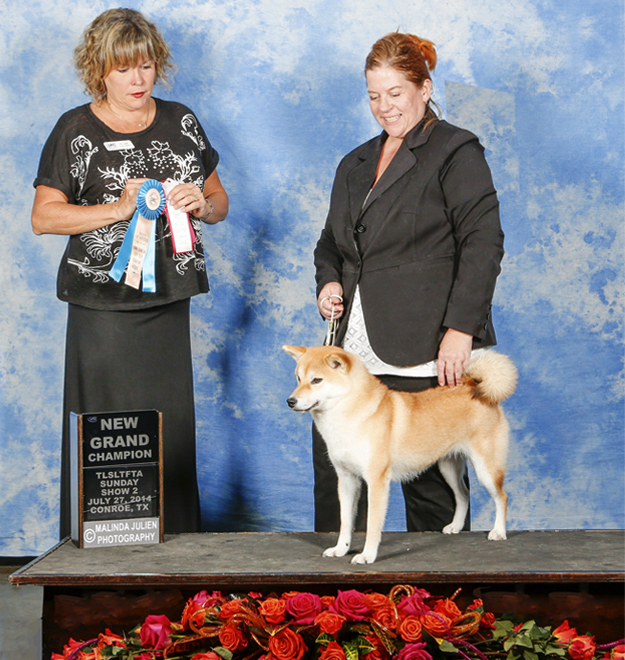 She remembered everything she learned and was very comfortable in the show ring winning her first group placement! 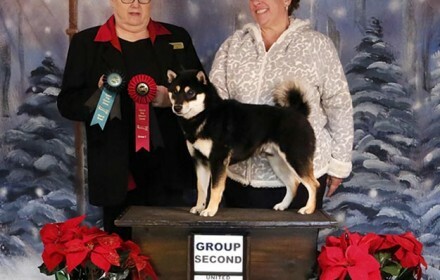 This was at Beni's first show! 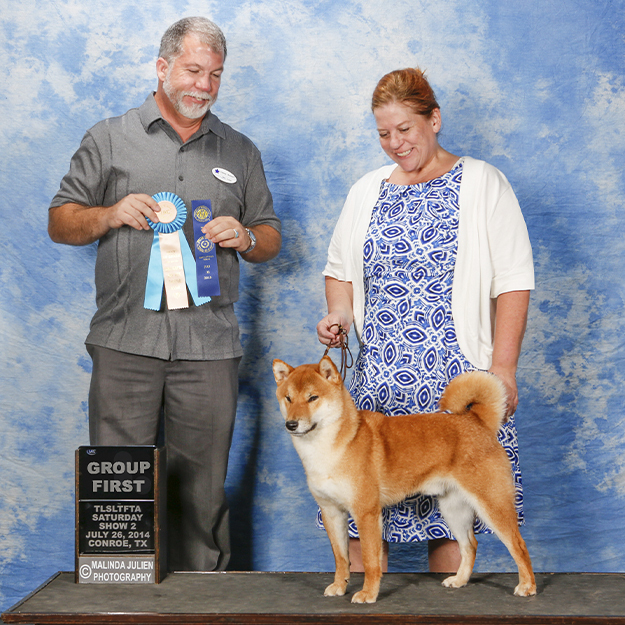 She wasn't sure about all the fuss and really only wanted to sit quietly and observe. 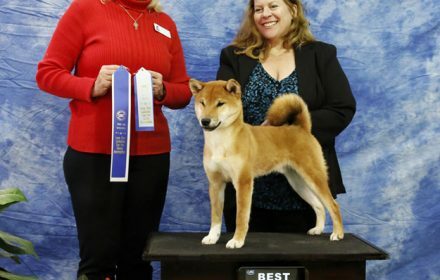 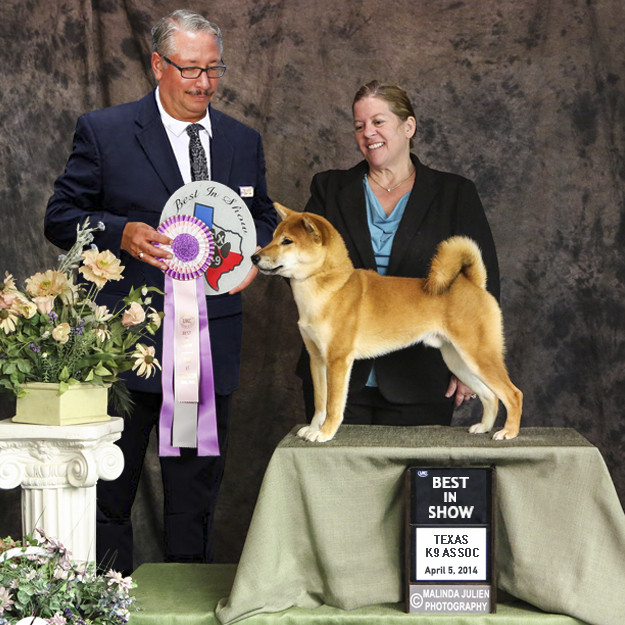 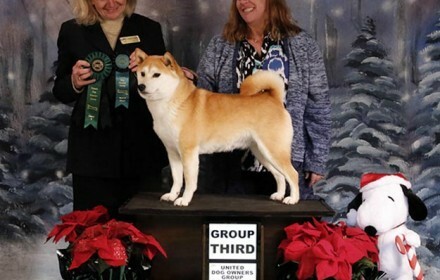 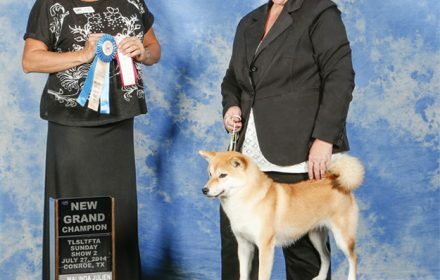 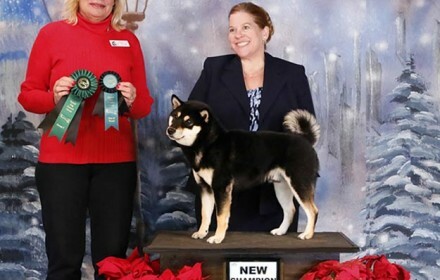 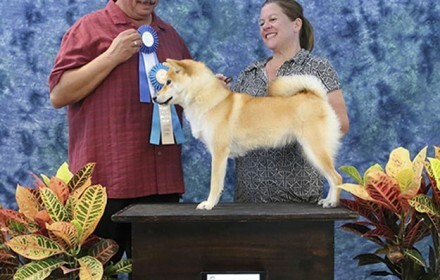 But, she put on her little shiba smile and did her little shiba shake and the judge fell under her spell! 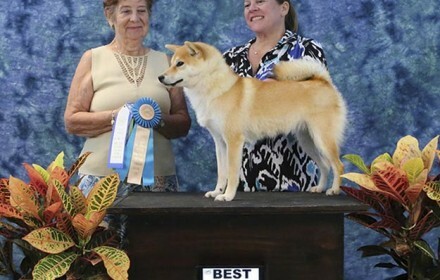 She has been quite the diva every since. 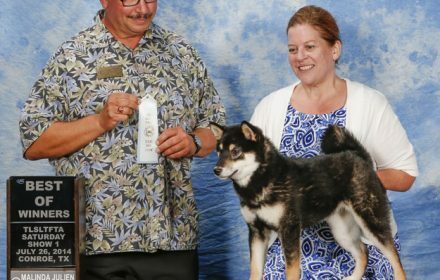 Akuto was enjoying his vacation away from home; meeting so many new friends (two-legged and four-legged). 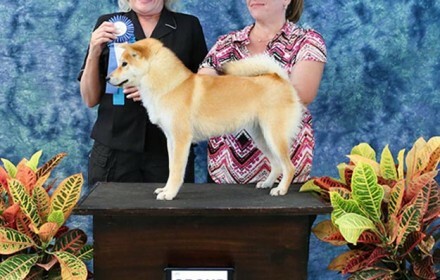 But he got his wiggles out and did a wonderful job!